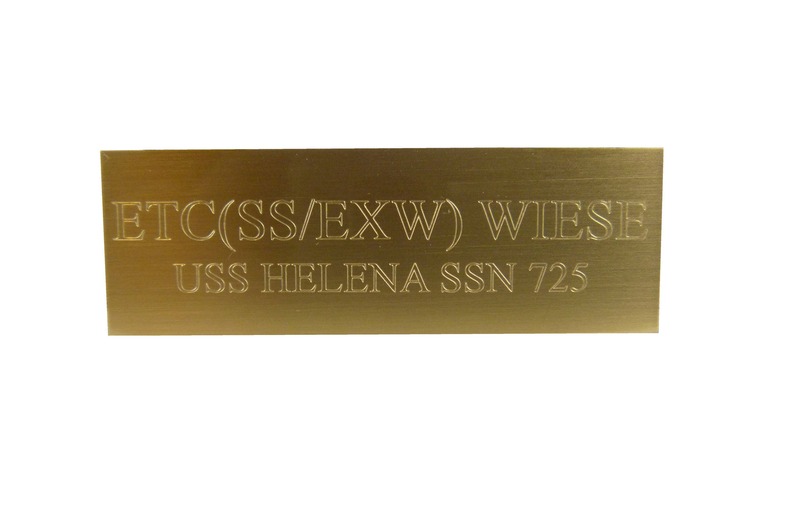 Custom Brass Plaque is available on its own or as an add-on item when purchased with another of our products. We can engrave this 1x3" brass plate and add it to any custom sign. See drop-down menu for signs available for customization with a brass plaque. Up to three lines of text, you can add up to 25 characters per line including spaces and punctuation. You will have an opportunity at checkout to "leave a note" so you can specify the wording needed. This listing is for text only. No graphics can be applied. If you would like your company logo or other graphics engraved please send us a message to discuss custom artwork fees. If we offer another listing that you'd like to customize with a brass plaque please contact us to discuss it. Thank you! Super please with my custom plaque.